There are 2 easy ways to test your PayPal payment form. It's either by making an actual payment or through PayPal Sandbox mode. 1. First, create a test product in your PayPal payment field with a 0.01 USD price. 2. Save your form and preview. Then select the test product and make an actual payment. PayPal Sandbox is a virtual testing environment that mimics the live PayPal production environment. Meaning, it works similarly with making an actual Paypal but without using real credit cards or live PayPal accounts. 2. Go to the Dashboard tab and navigate to Sandbox > Accounts. 3. Create 2 different account types, Personal and Business. If you are using PayPal (standard) in your payment form, you need the Personal account credentials. Otherwise, if you are using PayPal Pro or PayPal Express, you need the Business account credentials. 4. After creating the test accounts, take your PayPal Credentials. 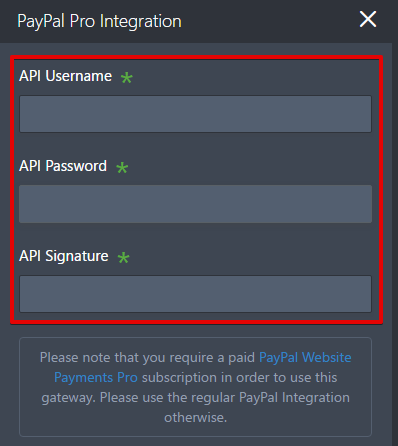 Let's assume you are using Paypal Pro so you need to take the Business account credentials. A. In your Business account, click the Profile link. B. It will open a new window, go to the API Credentials tab and copy your username, password, and signature. 5. Afterwards, enter these credentials into your PayPal Pro payment wizard. A. Click the WAND icon in your payment field. B. 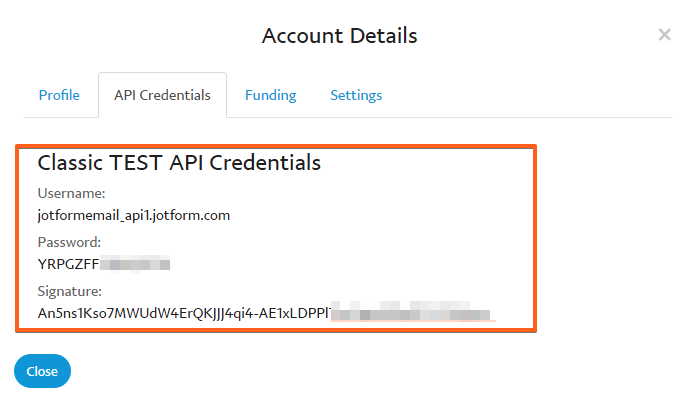 Enter your API credentials. Verification is optional since it is a test account. IMPORTANT: After entering your PayPal credentials, you need to enable SANDBOX MODE before you can perform a test. 6. 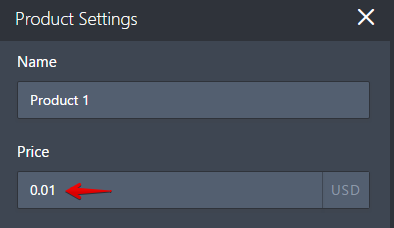 To enable sandbox, scroll down and expand the ADDITIONAL GATEWAY SETTINGS section then set SANDBOX MODE to YES. 7. That's it! You can preview your form and make a test payment. If you are using Business account in your PayPal payment field, you can use your Personal account to test your form or vice versa. If you have questions with any of the steps above, feel free to post comments below. I'm trying to figure out how to test PayPal Checkout with Sandbox. This document doesn't seem to be exactly what I need. 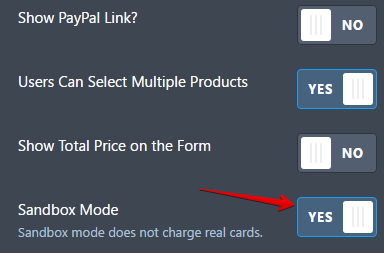 Is there a separate document specifically for PayPal Checkout and Sandbox? Or are there tweaks to this document that would make it relevant? I'm trying to test my form with PayPal and I keep getting an error. I've created Sandbox credentials for PayPal and put that as the payment email address on PayPal Integration. Any ideas on what's wrong? When I try your first method, PayPal will not let me login since I am the seller and the buyer. I have tried following the above procedure using both the Paypal, Paypal Express and Paypal Pro payment fields. None of those have the additional Gateway Settings collapse. What am I missing? Autoresponder email did not send for any of these entries? ?